The theme for this month was Face Fashion. 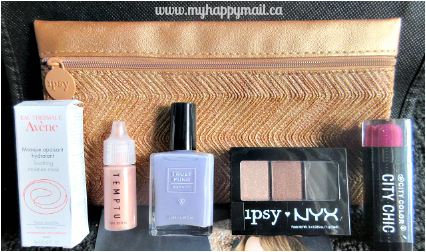 I just love the Ipsy bag this month, it’s definitely my favourite one this year. 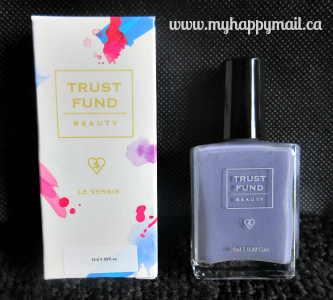 Trust Fund Beauty is a quick-drying, chip resistant polish it’s 7-free, non-toxic, vegan, and cruelty-free. I really like the shade of this polish and love that it’s non-toxic. This highlighter is super shimmery and goes on light. 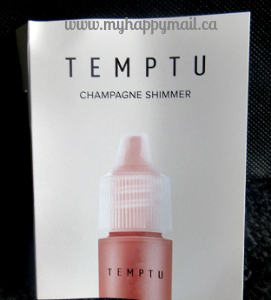 I think it probably works best with the Temptu system but can be used without it. 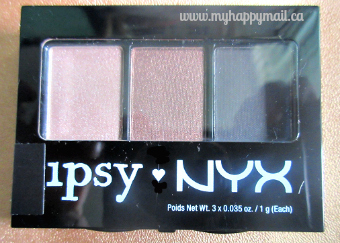 This was an exclusive palette designed by NYX just for ipsy. The colours are very pretty and would suit most skin tones. from ipsy: This 3-color eye shadow palette gives you go-anywhere intensity day or night thanks to the highly pigmented formulations. Provides intense eye colors with a silky texture for seamless application for any eye look that you desire. It consists of 3 complementing eye shadows to wear together or alone. 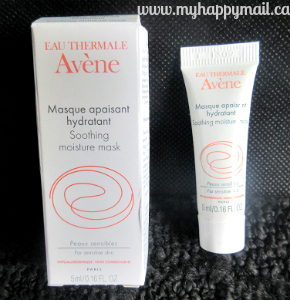 This mask is supposed to help put moisture back into extra dry skin. With winter coming up this will come in handy. 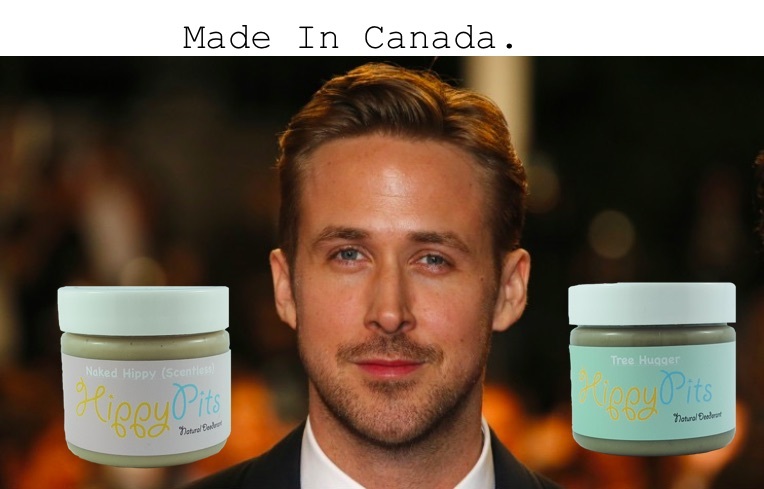 It’s Paraben-free, Hypoallergenic, Vegan and Gluten-Free. from ipsy: This rich, creamy, non-setting skincare mask provides intensive soothing care to dehydrated and over-stressed skin. Its unique formula deeply penetrates skin and in minutes, sensitive or tired skin can become supple, soft and radiant again. It also offers instant relief for burns, sunburns, redness and tightness. This lipstick went on nice and smoothly, but it isn’t particularly long lasting. My Ipsy bag this month was great! 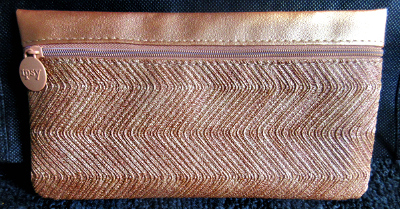 The bag itself is gorgeous and I received a good mix of products. 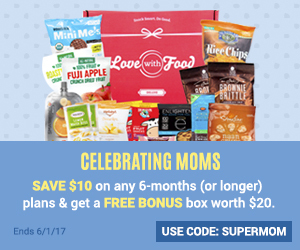 For $10 a month Ipsy is worth checking out. You can click HERE to visit the Ipsy site. My wife loves your site. Great job! I am loving that Ipsy bag. My friends all get these as gifts and they love it. It is always exciting to see what little ‘extras’ will be in every box. Love these boxes!! That nailpolish is gorgeous and the name is hilarious!! I also love the super cute bag that came with!